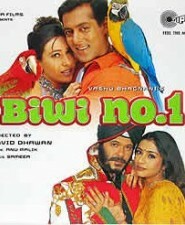 Salman Khan made his debut about 2 and half decades ago in Biwi Ho To Aisi, where he had a supporting role to play. Since then, he has featured in more than 75 films (including special appearances). His acting talent has always been under-rated, but what you simply cannot argue, is the fact that he is one of the most successful superstars India has ever seen. 1. 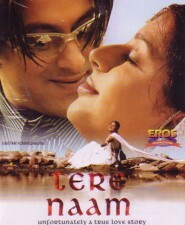 Tere Naam: Salman put his heart-n-soul into the character of Radhey Mohan in Tere Naam. The movie came at a time when his career was quickly sliding and brought him back into reckoning. Although the film wasn’t one his biggest hits commercially, it remains his most liked and acclaimed performance. 2. Dabangg: It was a close call between Dabangg and Tere Naam as Salman lived the character of Chulbul Pandey to the fullest. Humor, Anger, Romance.. it was a prefect blend of every emotion. 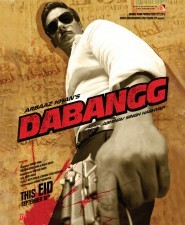 The commercial success of Dabangg was also the turning point of his career after a prolonged lean patch. 3. Hum Aapke Hain Kaun: These kind of boy-next-door roles are actually very tough to enact because there is a very thin line, which if crossed might look pretty awkward or unconvincing on screen (like Hrithik Roshan in Main Prem Ki Deewani Hoon). But Salman played the iconic character of Prem with ease and looked every bit the character. 4. Judwaa: This was the movie that started his partnership with David Dhawan and they both went on to work in several hits over the last decade. Both the characters – Tapori Raja and the nice guy Prem – were poles apart from each other. And Salman was at his best here. Unfortunately, he won’t be a part of the sequel. 5. Maine Pyaar Kiya: This is were it all started for Salman Khan. Under Sooraj Barjatya’s brilliant direction, Salman was raw and lovable. Considering the fact that this movie was only his 2nd release, his performance was superb. He fitted the role to the T and Maine Pyaar Kiya made him an overnight superstar. 7. 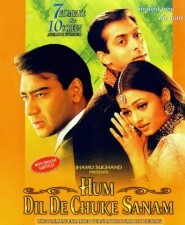 Hum Dil De Chuke Sanam: This movie boasts of some power packed performances by all it’s lead stars – Ajay Devgan and Aishwarya Rai were terrific, but Salman was a stand-out. His chemistry with Aishwarya was electrifying, arguably the best he has shared with any of his leading ladies. The off-screen relationship that the two shared during the time, translated into beautiful chemistry on screen. 8. Biwi No. 1: The portrayal of a infidel husband, caught between his loyal wife and an attractive girlfriend, with elements of comedy was done perfectly by Salman in this David Dhawan directed entertainer. The movie went on to become the biggest hit of the year. 9. Jab Pyaar Kisise Hota Hai: Salman played the role of a brat and then a responsible father with utmost conviction. The character was tailor made for him and left a lasting impression. The Deepak Sareen directed film also featured Twinkle Khanna. 10. Jaan-e-Mann: This is one of my personal favorites, simply because it didn’t do too well at the box-office. I still wonder why the movie failed to make a mark, but for me this is one of the best emotional performances by Salman, ever! So there it is, that’s my list of Salman Khan’s Best 10 performances. More than the film’s popularity and success, the list is based on his on-screen histrionics, which is the reason why some of his biggest hits are ranked lower. Also I pondered a lot but found it hard to include Kuch Kuch Hota Hai, Andaz Apna Apna, Karan Arjun, No Entry, Mujhse Shaadi Karogi or Saajan as these movies had some solid performances by his other male co-stars. Some of his other noteworthy performances that didn’t make it to the Top 10 list were Maine Pyaar Kyun Kiya, Khamoshi , Pyaar Kiya to Darna Kya and Garv. Do give your views and your own Top 10 list. Any other performance which you consider was worthy enough to make it to the list? I liked his performance in Karan Arjun too. But yes liked his performance in tere naam the most. My fav actor. . .
salman should rely more on acting rather than his body..
its good that sallu fans wanna see him shirtless on-screen..
salman khan ko toh acting hi nahi karni aati…. ek tha tiger looks good..
i hope isme acchi story dekhne ko mile..
SALMAN KHAN should quit acting..
WE ARE SEROIUSLY NOT INTERSTED IN SALMAN’S BODY. WE PAY RS.200-400 TO WATCH A GOOD STORY AND A GREAT PERFORMANCES. 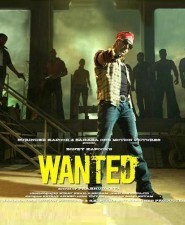 followed by DABANGG and WANTED..
One and only superstar in this whole world. SALMAN KHAN. Yes,. It is SRK power..
aur is baar bhi salman SRK se panga le rah ahai..he is promoting SOS by doing an item song.